The Sky Ice Bucket by Tom Dixon is an elegant ice container for the bar area. As part of the Sky Collection by Aurélien Barbry for Georg Jensen, the bucket has a casual yet expressive design language that stands out. For the development stages of this design, the French designer Aurélien Barbry was inspired by his love of Nordic design. The collection is thus characterised by cool minimalism and practical functionality. 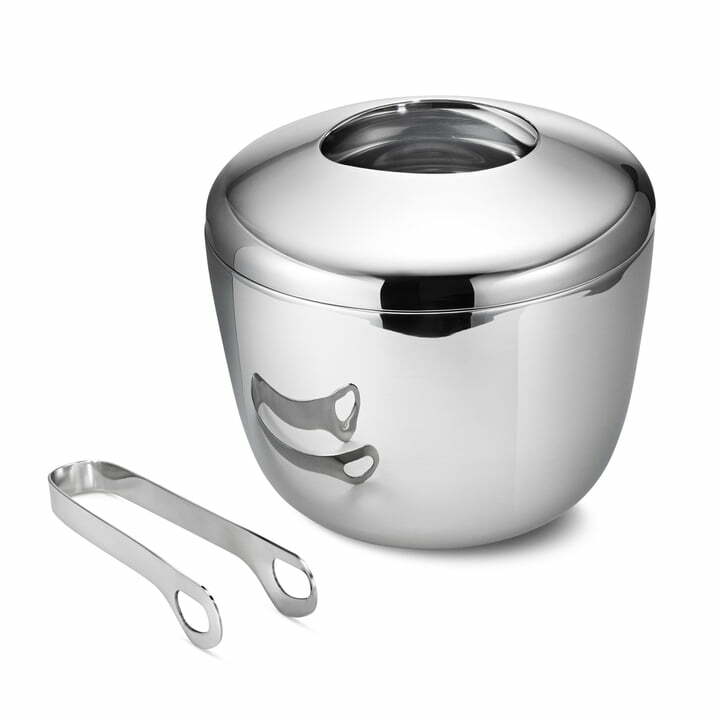 Made of reflective stainless steel with a curved, flowing silhouette, the ice container provides a real eye-catcher for sophisticated evenings with a freshly made drink. The ice cubes can be taken out in an elegant way with the matching tongs. The ice bucket can be perfectly combined with other articles from the Sky collection. Georg Jensen - Sky Ice Bucket with Tongs. Made of reflective stainless steel with a curved, flowing silhouette, the ice container provides a real eye-catcher for sophisticated evenings with a freshly made drink.